A reputed Printing and Packaging company based at Dubai requires Purchasing officer who can join immediately. * Responsible for the outsourcing, ordering and preparing for all the materials need in the production and digital section. * Negotiate and recommend execution of contracts for the purchase of supplies, services and equipment. * Keep informed of current developments in the field of purchasing, prices, market conditions and new products. 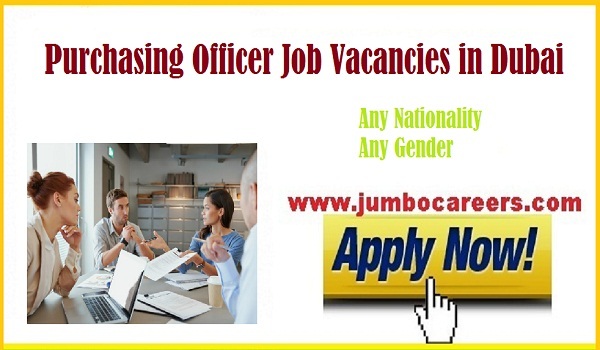 How to apply for latest Purchasing officer jobs in Dubai?